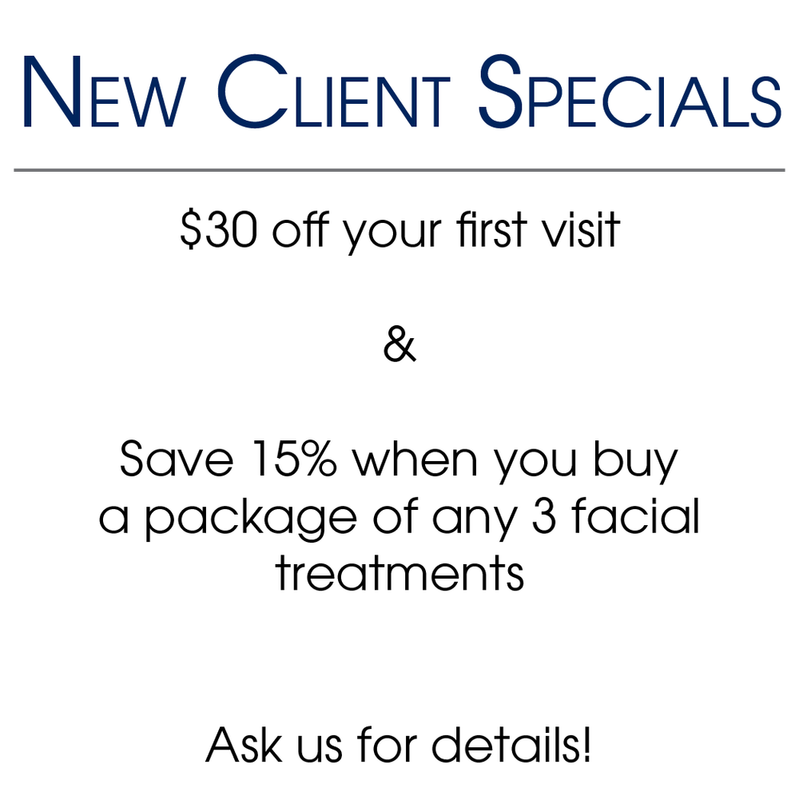 CHECK IT OUT - BIG SAVINGS AT DERMASPACE!!! What Does Glycolic Acid Do For Your Skin? Dermatologists Explain. We just LOVE the “What Does Glycolic Acid Do For Your Skin? Dermatologists Explain.” written by Julia Brucculieri for Huffpost. Here at DERMASPACE we use Glycolic daily and dozens of clients of all different skin types with great results. 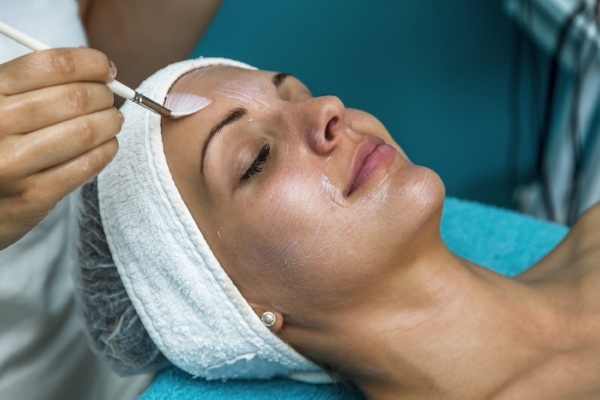 Our most popular facial is our Iderm Facial Treatment w/ Glycolic which will run you about $160. We also carry an amazing product called, Glycolic Gel Pads. It acts like a Micro peel with glycolic acid at low pH (3.5), hydrating peptides, and botanical extracts. Smoothes, firms, helps clear acne, and improves pore appearance. You can pick up this amazing product HERE!! Seattle, WA – August, 10, 2018 – Dermaspace has been honored in the inaugural MINDBODY Visionary Awards, given for business excellence fitness, beauty and wellness industries. 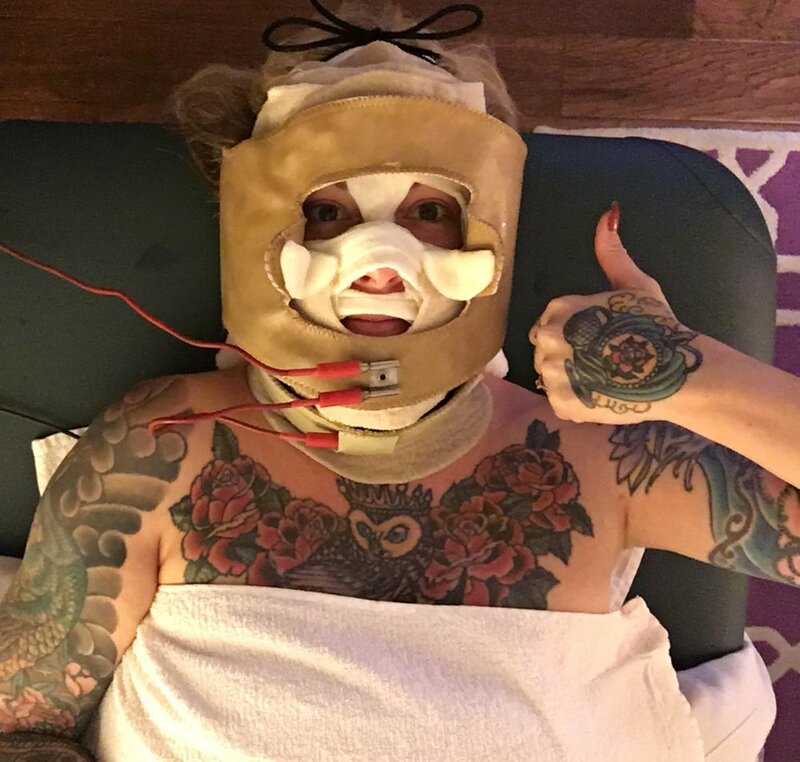 Electrotherapy Skincare, also known as “The Skin Gym”. It’s like physical therpay for your skin! Jody Leon has been a licensed professional in the skin & hair-care industry for over 25 years and holds licensure in both California and Washington State. He started Dermaspace in 2009 which is located in downtown Seattle and is currently writing a book on skincare, to be release in the fall of 2019. Dermaspace is the home of the Iderm Facial Treatment and is the only such establishment in Washington state that performs this unique facial treatment. The Iderm Treatment is skin detox at its best: You will notice immediately after the first treatment how utterly clean your skin feels. Regular treatments help with acne and rosacea, diminish fine lines, even skin tone, and provide a clearer complexion. Clients come for regular treatments every 2-6 weeks. Can be added to other services for an additional cost. *not to be combined with our Glycolic or PCA Chemical Peel facials. Take your skincare to the next level with this non-invasive method that enhances product absorption to create immediate, visible results with little to no downtime. Unique sphere-shaped tips perform gently on the skin to create micro-channels allowing active ingredients to be driven deep into the dermis for ultimate skin rejuvenation. It’s proven to be a game changer for your facial services. Your esthetician will discuss which serums will be used and/or cocktailed to create a custom service during your session. The skin will be tighter, firmer, plumper and will look radiant. You may feel dryness as the top layer of the skin experiences a gentle exfoliation. More specific results of the facial will be seen during this time. Skin will be firmer, more evenly toned and noticeable positive results based on the targeted skin concern may become more apparent. This deeply hydrating treatment is designed to nourish dry skin and plump up fine lines by stimulating new cells to build collagen. Over 600 growth factors and skin proteins derived from adult stem cells that are easily recognized by the skin to improve all aspects of skin damage and aging. Advanced technology utilizing exosomes that encapsulate the growth factors and proteins increasing penetration, stability and activating more receptors to enhance results. It gently restores the repair process and stimulates new cells to build collagen and elastin, heal hyperpigmentation and reverse aging. This unique, lightweight serum inspires the skin for a radiant, youthful complexion. A treatment designed for those seeking results for anti-aging, rosacea, melasma, hyperpigmentation and reduction in scarring. A potent infusion of an absorbable form of age-reversing Vitamin A – Retinaldehyde with 23 active ingredients generates a 30-day collagen production increase. It is unique because it avoids damaging the epidermis by penetrating several high-dose active ingredients into the dermis through liposomal delivery. Facial Infusion enhances results for acne, aging, rosacea and hyperpigmentation. Best results in about 14 days. A series of 6 treatments is recommended for optimal benefits. Catalyst AC-11 is our level 3 serum, appropriate for all skin types. It contains a patented formula that activates your natural zinc finger remodeling process, which is a critical part of DNA repair. The unique combination of vitamin C, amino acids and minerals also encourages the skin to increase collagen and elastin production, promotes wound healing and improves sun protection. The benefits of these serums can be seen with skin tags, broken capillaries, fine lines and wrinkles, scarring, and pigmentation. All treatments will be customized by adding special powder blends for increased skin correction. The Anti-Aging Powder Blend encourages scar tissue remodeling, enhances growth factor and skin nutrition delivery, reduces bacteria and increases antioxidant protection. The Calming Blend significantly reduces redness and irritation by combining Chinese herbs and soothing botanicals to boost your skin’s repair activity and calm inflammation. Acne Powder Blend helps clear stubborn bacteria, encourages scar tissue remodeling and improves wound healing giving you everything you need to fight breakouts. Ingredients: Ascorbic Acid, Tocopherol, Glutathione. The Lightening Powder Blend utilizes a combination of amino acids that focus on treating and lightening pigmentation. Increase the efficacy of this powder by combining it with Vitamin C Powder Blend. Increase the level of nutrition in your skin with this blend of powerful amino acids that provide the building blocks to create proteins such as collagen. Heal the skin and support it's structural network in the dermis while helping to form the Natural Moisturizing Factors in the stratum corneum Combine Skin Nutrition with Vitamin C and create a deeper level of repair that allows for damaged DNA to renew itself leading to pigment normalization, healing of capillaries and an improvement of many skin conditions. L-Hyaluronic Acid is a natural moisture factor working to deliver moisture to the top layers of the epidermis. L-Mandelic serves as a gentle, but effective, antibacterial providing lightening properties at the same time. Niacinamide will benefit every aspect of your skin by increasing its food supply which determines how responsive and healthy it can be. Deliver antioxidants and growth factors to areas in need while providing antibacterial properties at the same time. Local blogger Seanna Miriah came and checked out Dermaspace and did a great piece on us - check it out!! 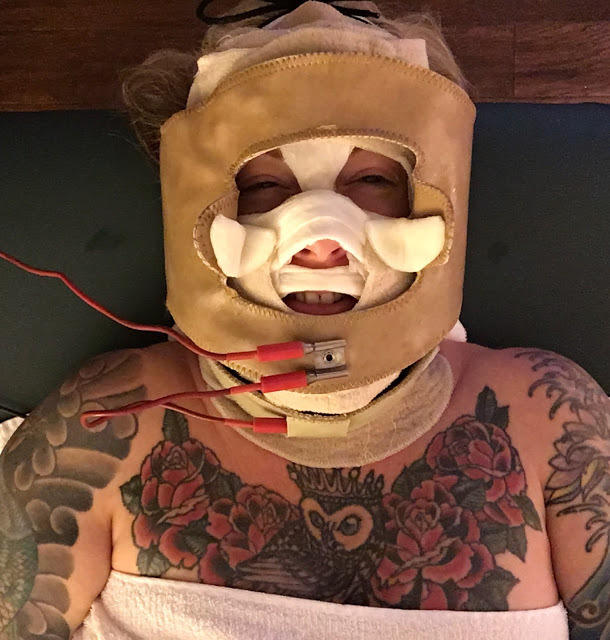 I said "OF COURSE I will let you hook me up to an electrical current and attach it to my face." This treatment has actually been around for a really long time and is even used with athletes to help work topical aid into their sore muscles. Makes sense that you could do the same with skincare remedies for your face. Celebrities have discovered this treatment and it is widely used in major cities like NY, LA, and now Seattle! Jody started out with a gentle face cleanse and exfoliated then brought this sucker out you see below. Most people don't watch the process live as they are getting it but since I was balancing my camera on my stomach I could see the viewfinder the whole time and I couldn't help but giggle. I looked like a Teddy Bear. This cone was actually around back in the 1930's. I relate it to the concept of putting a towel over your head then standing over hot water to steam. This is great for opening pores and assisting with cleaning them out. So the cone essentially "steamed my face" and I tell you what, it smelled reaaallly good in their and was quite relaxing! I was so thankful to be in an environment where my filming not only wasn't awkward but invited so I got to play with different camera angles and such. What a relief! After 15 minutes the cone was removed and he used a very small vacuum device as well as a rolling technique on any problem areas I had to extract the dirt below the surface. I always pack on so much foundation on my nose since that's (unfortunately) the one place I sunburn the most so the skin won't cover with just one layer of foundation. I feel that I really have to pack it on, hence, more dirt/foundation/product jammed into my pores. I've noticed little specks on the tip of it and it always bothered me. This part actually did hurt just a tad because it was my first facial and grrrrl, my skin was capital D-i-r-t-y. The machine goes up to a level 10 but newbies start at about a 1 or a 2. He did try a little tester to see how high it would go before I felt anything and I got to a six before I said, "Oh yeaaah I feel it" I thought I really was dead inside for a second there. Light tingles vibrate throughout the face and I could visually see my heart beat pulsating the ceiling. That's how I knew the blood was really circulating and made me think, "MAAAN I'm going to come out of this thing like I took that youth serum on Death Becomes Her!!" I sat for about 20 mns and just relaxed in thought, enjoying the music. The feel of my skin afterwords was UNREAL. It's hard to explain but it was like someone else's skin. I didn't recognize the feeling of it with my fingertips. It was a little red like Jody said it would be and I had a few spots where there were more focused extractions. The little brown dots on my nose, all GONE! I almost don't want to wear makeup at the moment; I just want to enjoy my young looking and feeling skin for awhile before I go slapping on my usual spackle. So I have an entire video I made of the experience and I would love for you to go watch and give it a big thumbs up. Giggle along with me. Also, Jody has mentioned that he isn't taking any new clients but has three estheticians in his office that would gladly provide this exact same service plus, new clients get $15 off their first visit! If you go let them know I sent ya! You can get more info on their website here DermaSpace. The office is located in downtown Seattle next to Nordstrom.